Evolution is virtually ubiquitous throughout the entire world – organisms evolve into different species, there’s nothing new and interesting about that. However, researchers found a surprising and unusual example of evolution – a three way symbiosis evolved into a four way symbiosis, when one bacteria became two different species inside an insect. Wait, let’s go through that slowly now. Cicadas generally eat a simple diet consisting of plant sap. They don’t bite or sting (unless they mistake your arm for a tree and try to feed – they’re cute like that), and are generally about as nice as it gets. Two bacteria living inside cicadas (Hodgkinia and Sulcia) take some of the eaten sap and transform it into essential amino acids. 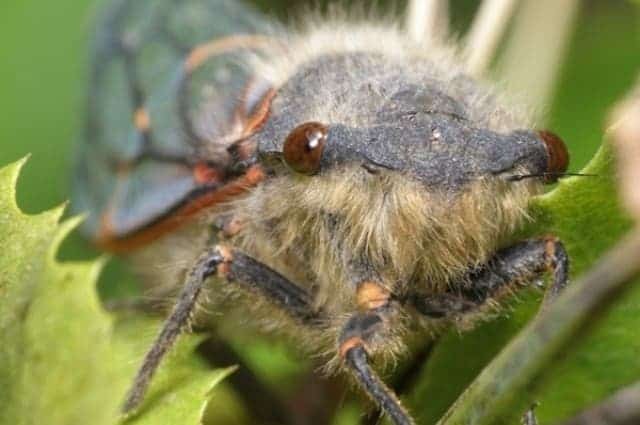 In exchange for that, they get to live comfortably inside the cicada, no problem with the internal defenses or anything. This symbiosis has been going on for 10 million years. However, while exploring the genome of some cicadas, researchers from the University of Montana, Missoula found genetic material from yet another bacteria: Hodgkinia has evolved into two different species, and the three way party has now gone four way. “When we looked at the genes, they were clearly closely related to each other,” McCutcheon explains in a university statement. “If there was a broken gene in one version of Hodgkinia, it would be complete and functional on the other and visa-versa. So, the functional genes in each, when working together, seem to operate as one.” They’re only complete when they work as a team. When this relationship began, the cicada and Hodgkinia would have been able to survive without each other – but as time passed, they found this mutually beneficial situation. However, they developed it so well that they weren’t able to live on their own pretty quickly. Hodgkinia didn’t need all its previous functions, so it started “shedding” some of its genetic material. Currently, only 200 genes remain. But the bacterium took things even further – it developed in two different ways. It is an accidental, non-adaptive evolution – a result of “slop and chance”, as McCutcheon puts it. It also makes the symbiosis even more complex. However, truth be told, it’s not much of a difference for the cicada. The only change is that it relies on three bacteria instead of two to provide it with the nutrients it needs. It happened by chance, it likely won’t have any major impact – but it’s fascinating nonetheless.